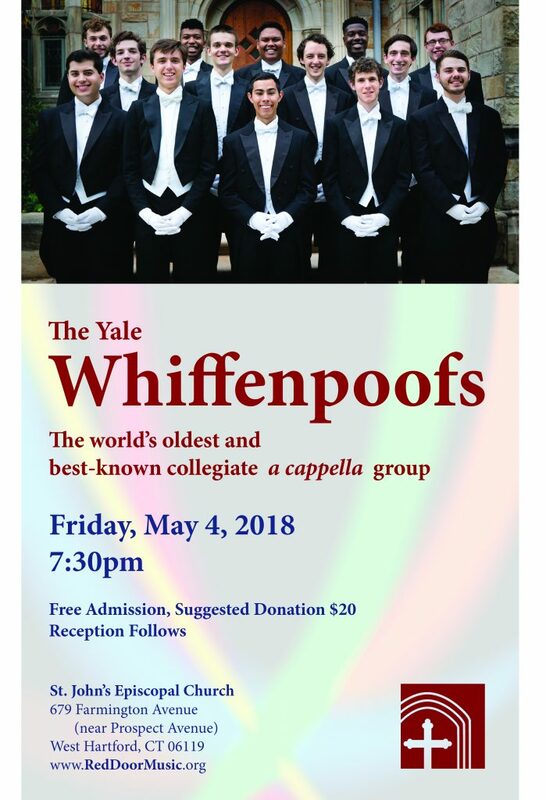 Join us for the world-renowned Whiffenpoofs! 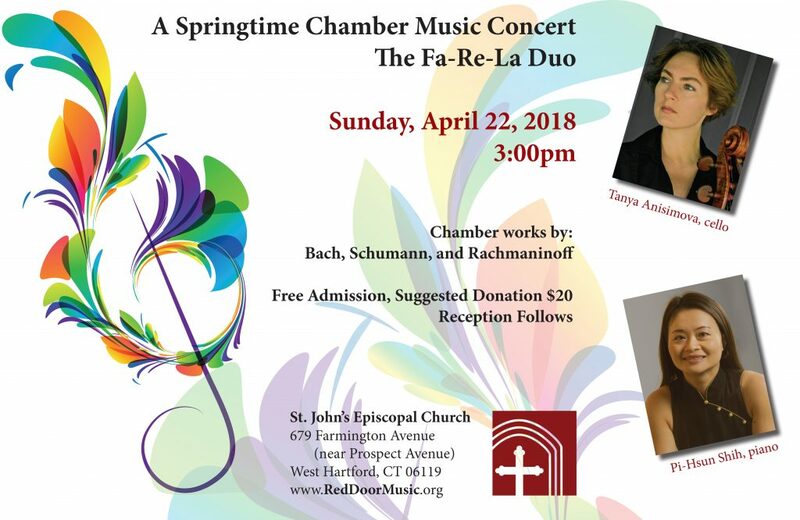 Join us for an afternoon of great chamber music! 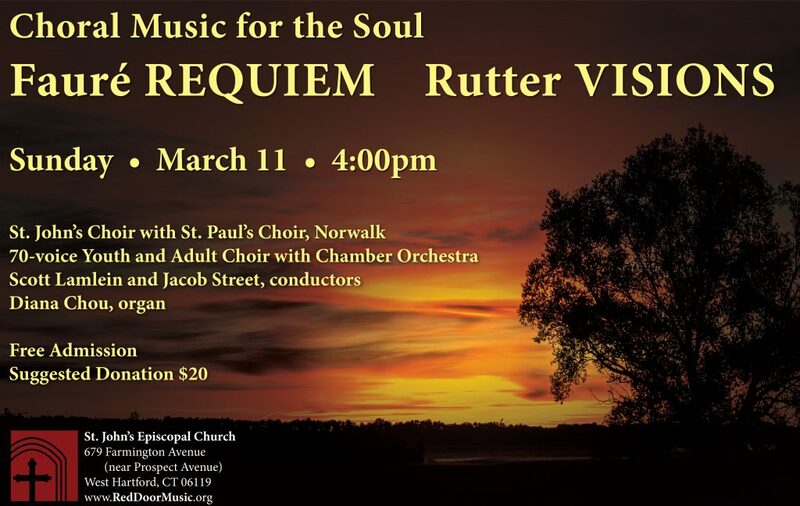 Join us for Choral Music for the Soul! 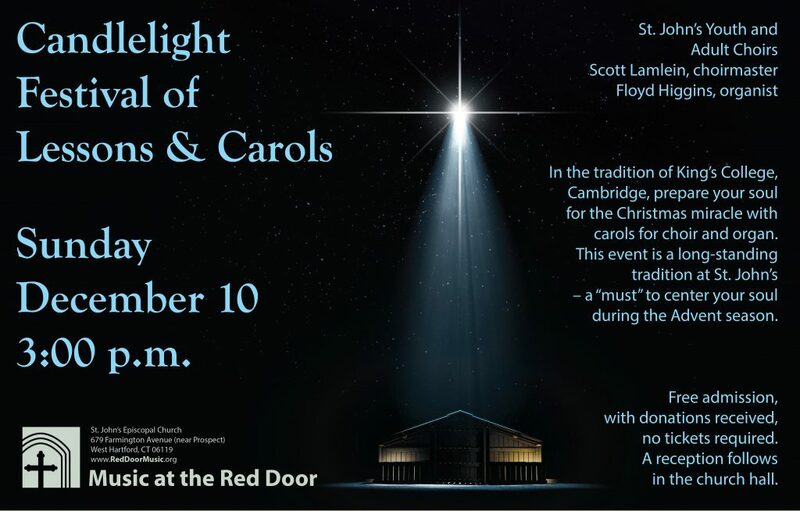 Join us at 3pm on December 10th for this beautiful, traditional festival of holiday spirit. Click here for details. 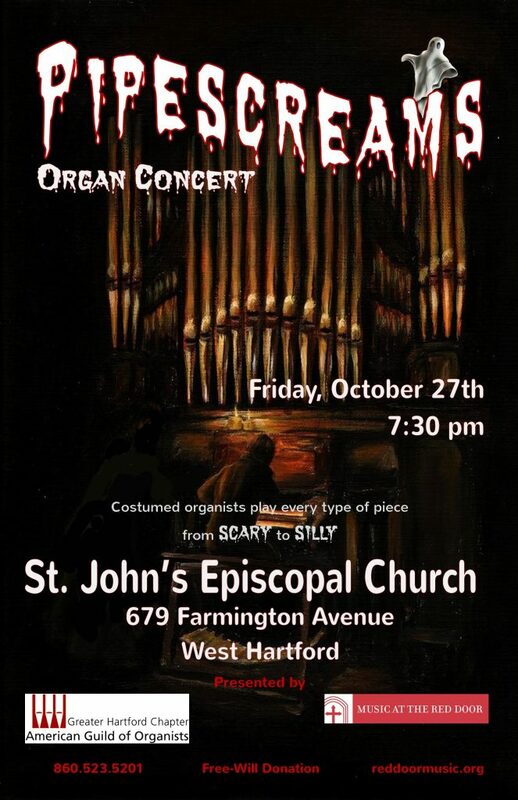 Join us on Friday October 27th at 7:30 p.m. for PIPESCREAMS Organ concert. Click here for details. Join us on October 29th at 5pm for a spiritual respite before the week ahead. Click here for details. Join us – click here for details. 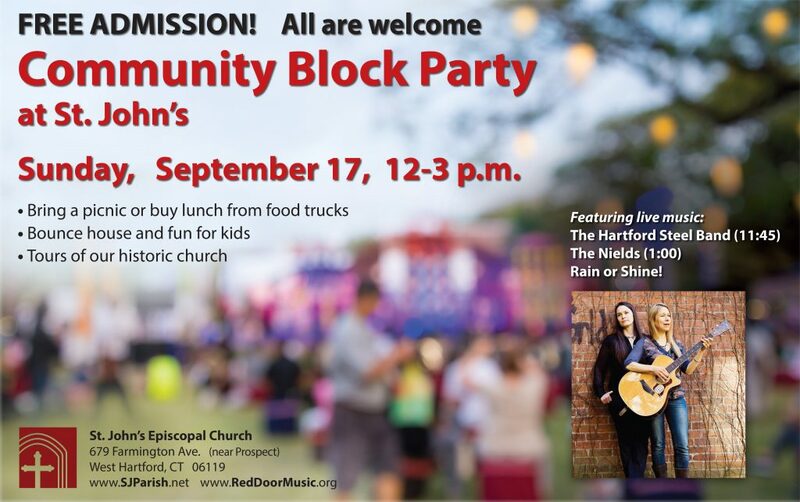 Join us for our second annual block party! Click here for more info, and we’ll see you on the 17th! 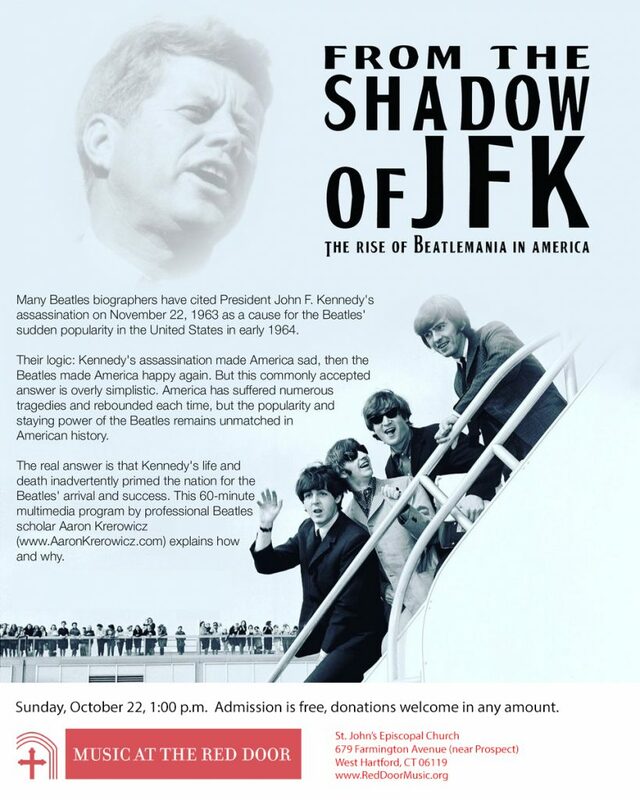 Support the Red Door today! 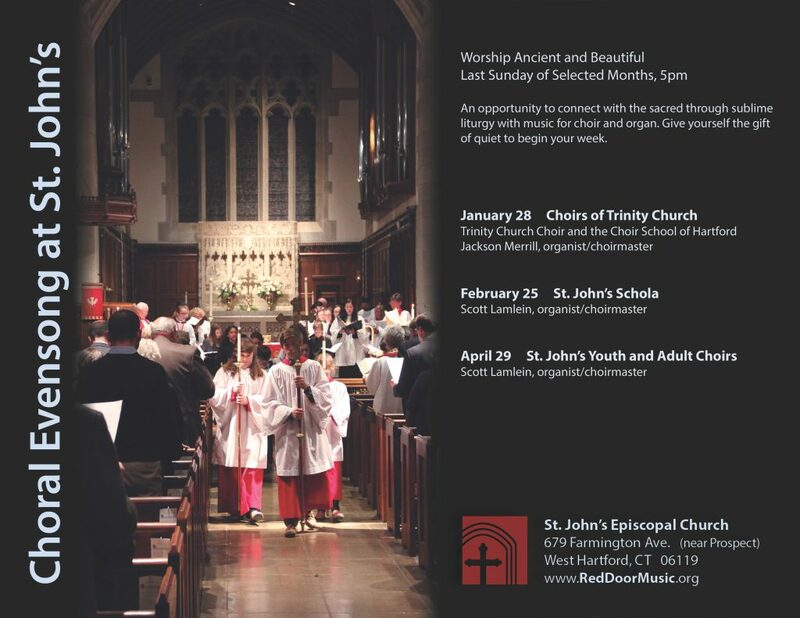 With another amazing season nearing its end, I am excited to tell you about another exciting season of Music at the Red Door, and to invite you to be part of this musical outreach in our community. Our first Block Party, featuring local folk duo The Nields, drew a large crowd and established St. John’s as a neighborhood center for music, architecture, and fun. The addition of regular Choral Evensong services welcomed and inspired people from far and wide. 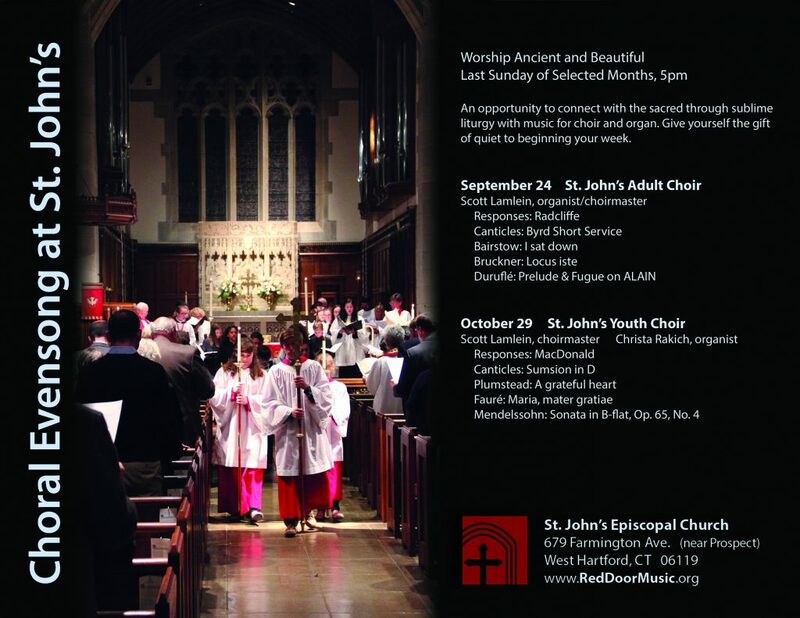 Diverse concerts, from folk and gospel to pipe organ and choral music, continue to bring a diversity of new people to St. John’s. Each time we open the red doors, we invite people to experience music in a safe, beautiful environment. As always, our young choristers play a central role in both concert and worship, learning and presenting adult-level choral music in a group that is both rigorous and fun. The new season continues this mission, as you’ll see at our updated website. 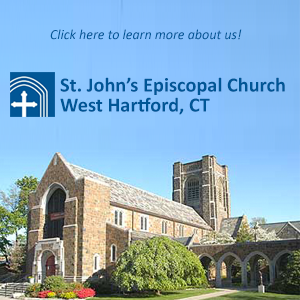 Our Youth and Adult Choirs present the annual Festival of Nine Lessons and Carols along with several services of Choral Evensong, and this year present a sublime major work – Fauré’s Requiem – in a combined event with the choir of St. Paul’s-on-the-Green, Norwalk. 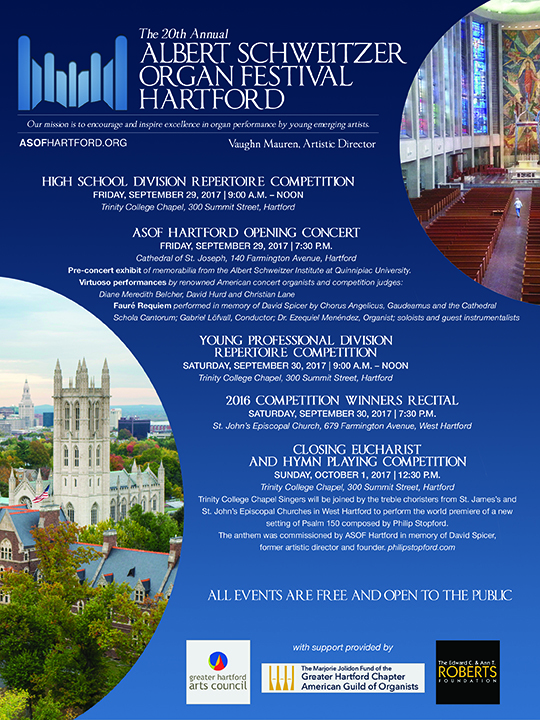 Major events will feature the celebrated St. John’s pipe organ in several ways, as well as an afternoon of chamber music by Tanya Anisimova (cello) and Pi-Hsun Shih (piano); you may remember their packed-house performance in 2014. The Nields will return for our second annual Neighborhood Block Party, and you’ll want to arrive early to get a seat when the Yale Whiffenpoofs perform their unique a capella music in the amazing acoustics of St. John’s. Details are found on our events page. 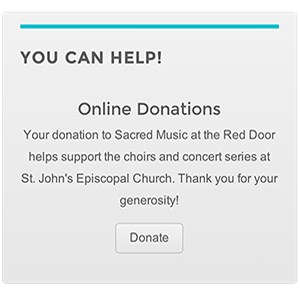 Music at the Red Door is funded entirely by donations. While we have many plans, the 2017-2018 program can only happen with your support. If you’ve never donated to the Red Door series, please consider doing so – any amount is appreciated. If you’ve been a regular supporter, consider increasing your donation this year. Click here to donate or pledge today . Thank you for your generosity, and for being part of the Red Door family!